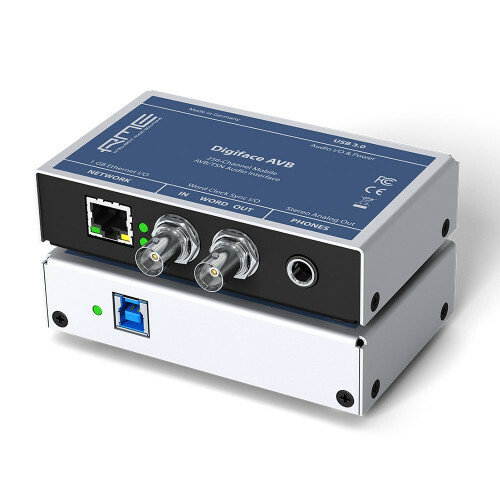 This updated version of the ADI-2 Pro includes the same comprehensive functionality but now with femtosecond clock technology and AutoDark mode first implemented into the highly acclaimed ADI-2 DAC. 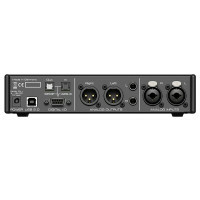 As the most flexible converter available, the ADI-2 Pro FS offers balanced/unbalanced analogue I/Os, double Extreme Power headphone outputs, SteadyClock FS, 4-stage hardware input and output level control, DSP-based signal processing, external power supply operation, Class Compliant USB compatibility, sample rates up to 768 kHz as well as DSD record and Direct DSD playback (256 / 11.2 MHz). 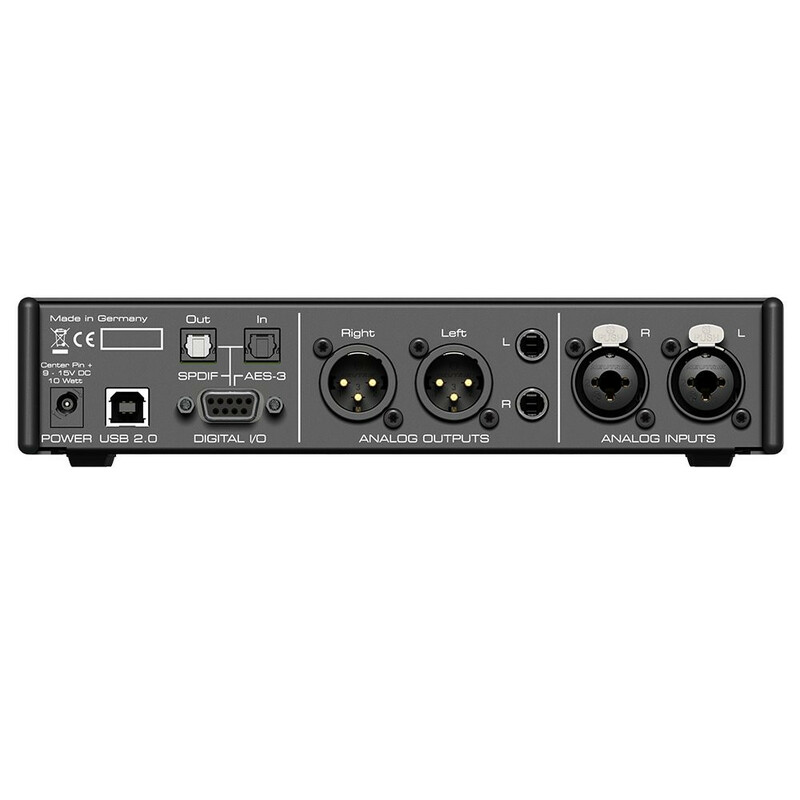 The ADI-2 Pro FS includes two servo-balanced analogue inputs on combo XLR / TRS jacks, two separate balanced and unbalanced outputs on XLR and TS, two stereo Extreme Power headphone outputs on the front, an optical SPDIF I/O that also understands ADAT, and coaxial SPDIF (RCA) and AES I/O (XLR) via an included breakout cable. 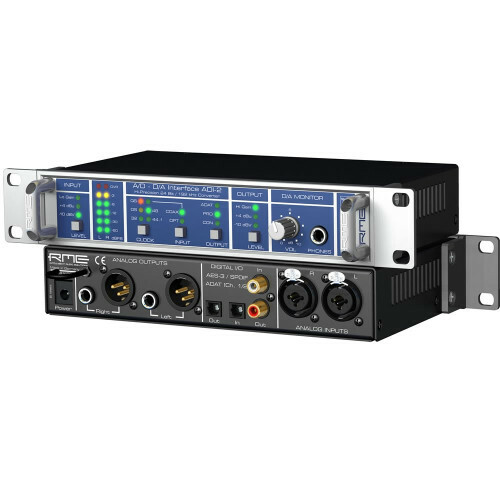 This universal set of I/O options offers superior quality and flexible connectivity to those who take a no-compromise approach to audio. The USB 2.0 port is fully Class Compliant (UAC 2) for connection with compatible iOS devices, and is also used for firmware updates. 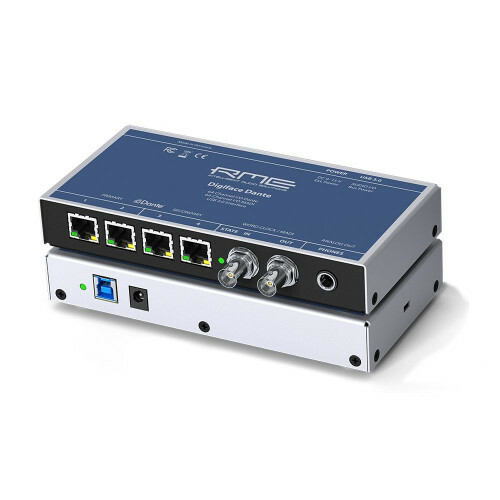 Including an external switched power supply with lockable connector, the ADI-2 Pro FS can be easily powered from battery, opening up mobile applications as well as galvanically isolated use cases. 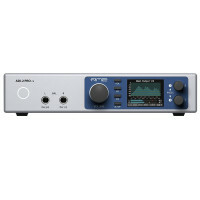 As a computer interface the ADI-2 Pro FS offers a stereo (2 in / 2 out) and a multichannel mode (6 in / 8 out). Compatibility with Mac OS X comes right out of the box. Under Windows the ADI-2 Pro uses RME's MADIface series driver, for full WDM and ASIO compatibility and highest performance. Aiming for the absolute reference sound, any detail in the ADI-2 Pro FS is special and has its own story. The main PCB is an extraordinary 10 layer design with custom copper thickness, guaranteeing finest undisturbed sound as well as ample but separated power for the phones outputs. 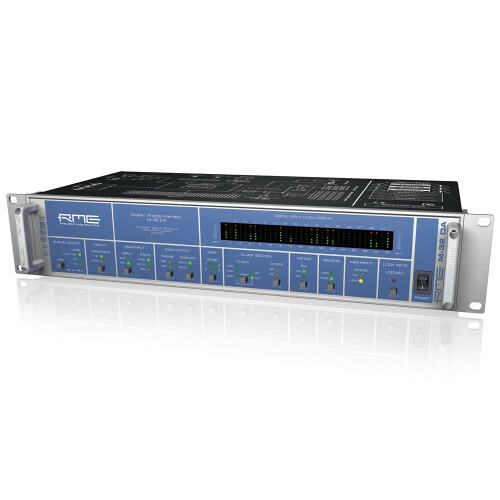 Internal power supply stages and precise regulators use a super-low-noise design to not degrade performance through the power rails. Selected SoundPlus operational amplifiers maintain highest SNR, lowest THD and high slew rate under all conditions. The whole analogue circuit design is fully symmetrical and balanced throughout - and DC-coupled. The only capacitors in the signal path perform DC protection at the analogue input sockets, and have been carefully selected to avoid any sonic impact. For easy operation a high quality Sample Rate Converter has been added, switchable to the AES or SPDIF input, solving any clocking problem between those. 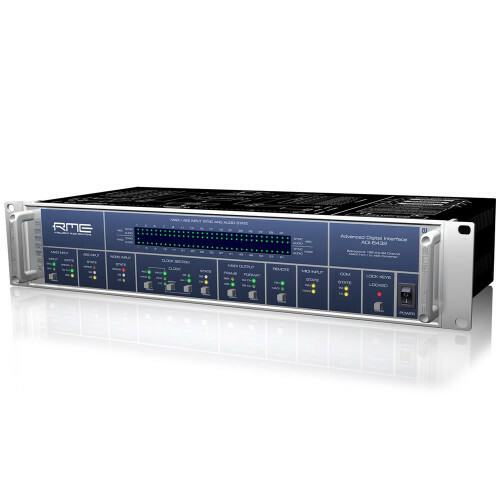 And RME's latest SteadyClock III technology ensures perfect jitter reduction and stable clocking, no matter if internal or external clocks are used. 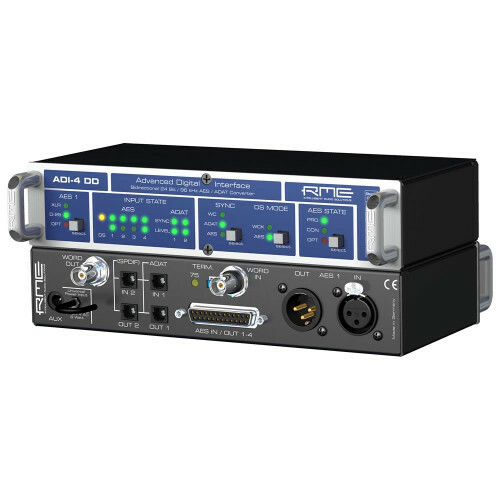 The ADI-2 Pro FS is the second device in RME's range with SteadyClock FS. There is little to improve with SteadyClock, it has earned its accolades over years with flawless operation in numerous RME devices, guaranteeing that the internal clock will produce exactly the same sound as when using an external one. SteadyClock assures high jitter rejection and is proven to handle all digital interface formats in an exemplary way. With SteadyClock FS the focus is on reducing the self-jitter of SteadyClock to new lows, by improving its second, analogue PLL circuit, and referencing both Direct Digital Synthesis and PLL to a low phase noise quartz crystal. The self-jitter measured through DA conversion now reaches levels that usually are only available in master quartz clock mode, while SteadyClock always runs in PLL mode – making sure that the sound is the same whether using internal or external clock. The low phase noise oscillator driving the updated circuit reaches jitter specs lower than a picosecond (ps), and now you are in the area known as the FemtoSecond. There is no use in boasting about -110 dB THD, when such values are not available in real world operation - for example when a 32 ohm headphone is connected. RME's engineers therefore designed a new headphone output stage that brings the full performance of the premium DAC to the phone jack - even when using low impedance headphones. The Extreme Power design excels with 0.1 Ohm output impedance, a maximum output level of +22 dBu, and a maximum output power of 1.5 Watts - per channel! The RME ADI-2 Pro FS' two, fully separated stereo headphone outputs deliver the same 120 dBA SNR performance as the line outputs, for a full hum and noise free listening experience. THD is far below -100 dB (0.001%) even at full power, for the most clear and detailed soundstage possible. The Extreme Power design also incorporates current limiting, power surveillance, overload detection and DC protection. A low power mode and a high power mode are provided, for a perfect match from IEM up to planar. Having two stereo outputs, balanced headphone operation is possible. 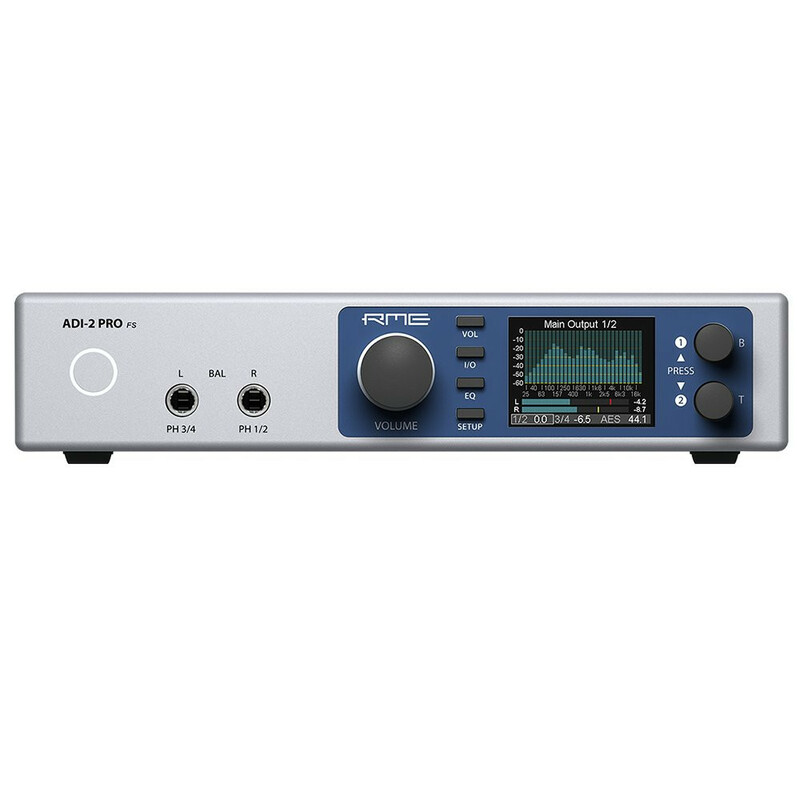 As RME's engineers were not satisfied with the existing techniques they developed a new Advanced Balanced mode for the ADI-2 Pro FS, that removes most limitations of standard balanced operation, and turns this mode into a a fully new experience. The exclusive Advanced Balanced mode delivers a balanced signal path from the DAC straight to the phone, with 3 dB gain in Signal to Noise Ratio, smoothed out deviations in components, optimized frequency response, super low output impedance (0.2 Ohms), and a maximum output level of +28 (twenty eight) dBu. When the AutoDark function is selected, the display, function keys and volume knob lights are automatically switched off after 10 seconds of the ADI-2 Pro FS being idle. The lights will come to life when you touch any button. This feature helps you with one less visual distraction when mixing or mastering. 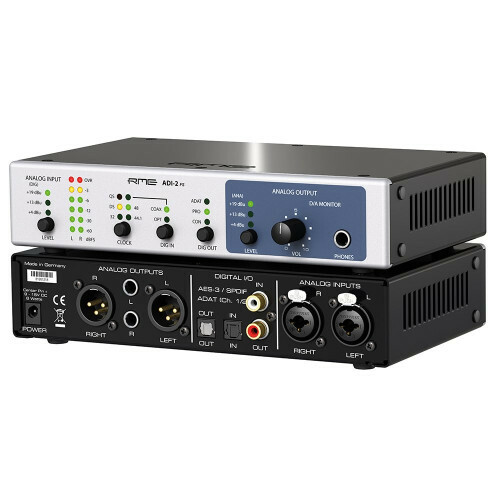 The ADI-2 Pro is RME's reference AD/DA converter, USB DAC, USB interface and headphone amp. 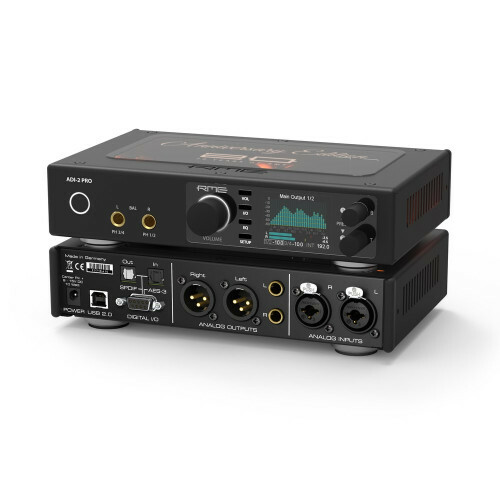 It's numerous use cases make it an ideal choice in many fields, from the home user appreciating innovative solutions offering highest sound quality, the studio owner asking for reference AD/DA conversion, the Hi-Fi enthusiast demanding a flexible yet high-end headphone amplifier, up to the industry using the portable device as front-end for measurement systems. 20 years of RME - cumulated into a precious unit, that once heard and used one will never give away. Promised. 4 months ago I entered the the high end audio world with a pair of Audeze's LCD-3s (2016 Fazor version). Being new to the world of high end audio equipment I knew I needed an appropriate DAC/Amp to get the full experience of the LCD-3s, so I tried a variety of DAC/Amps (Objective2+ODAC, FiiO E10K Olympus, Late 2016 MacBook Pro). All the other amps I tried were clearly lacking, they don't have enough juice to properly power the LCD-3s, so the volume was fairly quiet and notably distorted near maximum. I also found that they couldn't resolve the detail and micro detail (also called plankton) in my music as well as I'd been led to believe the LCD-3s were capable of. I began to trawl the internet trying to find out what 'audiophile' grade products would be an appropriate match. 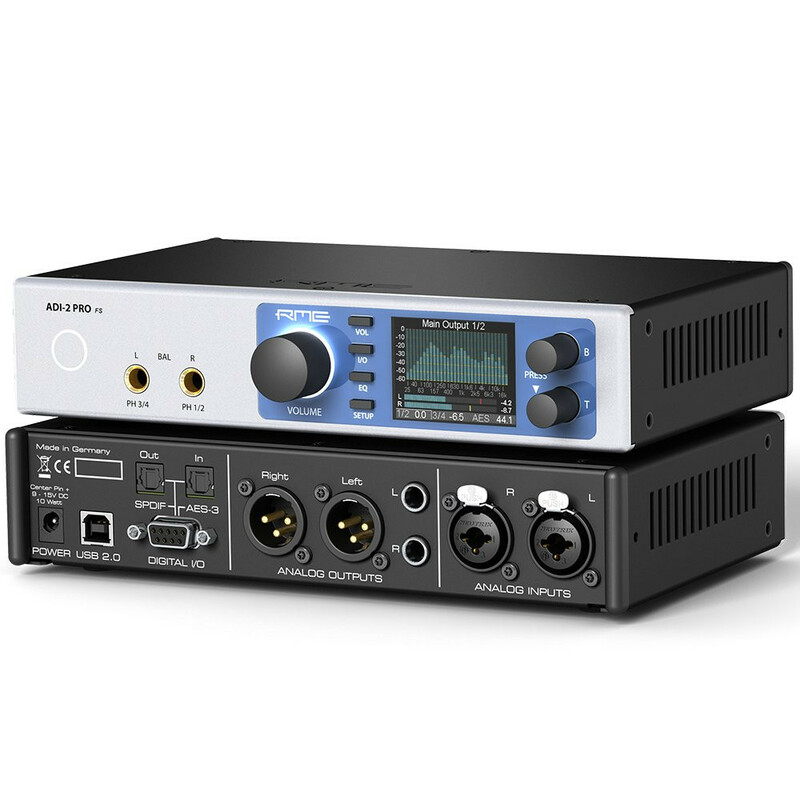 A good friend of mine who is an expert in microchip design, digital signals processing, and an amateur musician to boot suggested I look at the RME ADI-2 Pro because in his opinion RME produce the best professional audio equipment available. Their technical excellence is second to none, and the ADI-2 Pro was personally overseen by RME head engineer Matthias Carstens with the goal of producing the best possible 'no compromise' headphone Amp / DAC. For me there was no higher praise I could receive for a product, so I called Synthax to ask some questions about the ADI-2 Pro. After answering every question perfectly I was invited to come down and try it out in person in their office just off the M25. The whole team, Jason (Sales), Rob (Products), and Martin (the boss) were absolutely fantastic, friendly, informative, easy going, and helpful. After a full run through of the feature set, how to use it, what the history and background of it's development was, etc.. I was set up with a cup of tea and the ADI-2 Pro in a meeting room and left on my own to try it out. I couldn't ask for a more friendly or helpful bunch to assist me in assessing the ADI-2 Pro and making a decision about purchasing it. The industrial sleek design is absolutely top notch, excellently finished in every respect. You can really tell that it was a labour of love for head engineer Matthias Carstens. It looks beautiful, the spectral analyser on the high resolution colour IPS display is stunning, and the use of LED lighting complements the design perfectly. Unlike the other headphone amps I'd tried there is absolutely no problem with power here, the "Extreme Power" mode will give you over 2 watts per channel! You could totally blow your head off with this if you wanted to (helpfully it has a feature to protect you against overpowering more sensitive headphones). It has plenty enough power for my Audeze LCD-3s, and I can be confident that my investment here will have the headroom to power my future headphones even if they are more difficult to drive than those I have now (as planar magnetic headphones often are). RME are well known in the professional audio business for their outstanding technical excellence and dedication to measurably fantastic sound. The PDF manual is packed with SNR / THD graphs demonstrating their commitment to achieving the best possible sound quality that can be engineered. This stands in contrast to the often hand-wavy or vaguely defined approach of many 'audiophile' grade Amp/DAC products. If you look in to the history of development of the ADI-2 Pro (see Youtube etc) you will find that in every engineering aspect RME went totally over the top in their pursuit of perfection (e.g. 768 kHz sample rate support), and it definitely comes through in the sound quality. It is a marvel of German engineering at it's finest. As a no compromise solid state DAC/Amp the sound character is extremely transparent, and is packed with absolutely tons of detail. When paired with high end headphones you will be able to hear detail and micro detail in your favourite tracks that you just haven't heard before. I guarantee it will absolutely blow your socks off as you appreciate your music anew. For me the audio quality of the ADI-2 Pro has been an absolute game changer to the extent that it's actually pretty dangerous. It is very easy to get totally lost in the music, if you have your eyes closed you can lose all sense of the world around you and really believe you are there in the performance. When I first got it I often found myself listening for 8 hours straight to music in bed with it (something I never did before), or falling asleep through exhaustion with it still playing away because it is just so good that when you start you won't want to stop listening. As a married employed man with children this is quite hazardous, so now I have to be quite careful when using it! It is (for me at least) an expensive purchase, but it is one of those purchases I don't regret, it really is more like an investment. So well designed and with so much capability and headroom that it's going to last, and RME are regularly updating the features and improving it with regular firmware updates. Are there any downsides? To be honest if it fits your budget it's a struggle to find any. It can get quite hot in operation (but continues to work flawlessly), the menu controls are not intuitive (but fine once you've learned them), and although it has a 'dark mode' which dims the IPS LCD panel and puts it in black and white mode, the white LCD rings remain on at full power. If like me, as a guilty pleasure you like to listen in the dark with your eyes closed so you can be fully immersed, you will find you need to put something in front of the ADI-2 Pro to block the light, and RME have confirmed this can't be resolved through future firmware. An unexpected omission is that it does not come with a USB cable, so you will need to separately buy a USB 2 type A to type B cable (often referred to as a 'printer cable'). As there is no established standard for headphone balanced cables you may find as I did that it does not support the balanced connector your headphone uses (4 pin XLR in my case). The manual includes a wiring diagram to show how you can make an adapter, but as far as I can tell there is no UK source for these adapters premade so you'll need to get the soldering iron out or ask someone to custom make one for you. If you're a tinkerer obsessed with audio you're going to fall head over heels in love. The ADI-2 Pro is jam packed with every feature you could imagine, and a few you probably haven't even considered (ever wondered how different D to A filters alter the impulse response? well you can switch between 4 different algorithms to find out!). There is a gold mine of features and ports (including 2 headphone jacks so you can compare headphones easily or share the audio love with your better half) that I haven't used (e.g. the DA converter, running it from a battery, etc..), and a plethora of software capabilities (5 band parametric equalisation, loudness, crossfeed, etc..) that I have yet to fully explore. The 88 page manual is filled to the brim with technical information, block diagrams, circuit diagrams, graphs, and figures - showing RME's devotion to technical excellence and design. 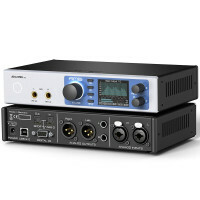 Support from RME is outstanding, if you go to their online forum and ask a question you'll quickly get an answer from the engineer who designed it. If you're someone who just wants the best possible headphone audio quality but doesn't want to spend an eternity reading manuals and configuring things you will find it's pretty much plug and play. On Windows and Mac you just plug it in via USB and it 'just works', start playing your music, plug in your headphones, turn the volume knob, and you will be in audio Nirvāṇa. The ADI-2 Pro is a phenomenal no-compromises AD/DA headphone amp, a marvel of German engineering, it is absolutely worth the investment. If you love audio and want the best possible 'end game' headphone amp designed by the best engineers in the business then look no further. Be careful though, it's not just good, it's almost too good, your life will be permanently changed.